Through two case studies, we will have an interactive discussion of situational awareness and ethics. We will expand the biopsychosocial assessment into social determinants of health. The case studies are a compilation of different patients and the names and any identifying information has been removed. The first case is a young professional and mother of young children with a rare form of cancer. The second case is a woman with severe injuries from a vehicle collision who lost her baby. Apply their professional ethical principles to how they provide case management to their clients/patients. Utilize the three “R”s to prioritize care to their clients/patients. This applies to Principle 2 – Board Certified Case Managers (CCMs) will respect the rights and inherent dignity of all their clients, Principle 3 – Board Certified Case Managers (CCMs) will always maintain objectivity in their relationships with clients and Principle 4 – Board Certified Case Managers (CCMs) will act with integrity and fidelity with clients and others. 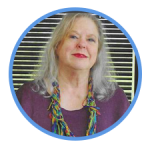 Martha became an RN in 1975 and a Lamaze Certified Childbirth Educator in 1980. She worked OB in a high-risk tertiary hospital and had a Lamaze business for 7 yrs. In the AF she worked OB in a level 1 hospital with a wartime job as an OR nurse. During her AF career, she received an MS in Operations Management. Before going to BCBSSC as a case manager, she worked for several hospices. She is ANCC certified in Case Management since 2004 and part of ANCC’s Content Expert Panel for Case Management for the past 7 years. Martha is a retired Lt Colonel from the AFR.